Donate his fertility that we may prosper. To form, create and build. With great steps he crosses the land. Us humans from wrecking havoc. Bolster us up for the deed. Friend of those who are prepared. Visit the other shrines of the Gods, read the words of others and leave some yourself. Wherever we are we are connected by the Gods. Oh Donner Gott, schlag die Dunkelheit fort. Nachdem Gewitter scheint die Sonne. Die Luft ist rein. I thank you for experiencing you in my life as the brother I never had, or as a fun and loving uncle. I cannot express how happy I feel when I see you and we chat. Your advice and your support are priceless to me. Thank you for teaching me about fear, protection and trust. Lets keep it going, let me keep learning through your words and your deeds. I raise my glass to you! Hail Thor! I can hear the calls of the helpless, and it fills me with rage. I am impotent against the wrongs that are being wrought upon countless, nameless children. On first learning how they were hurt, I knew not what to do, so like the Master of Yggdrasil I looked into the depths. These wrongs are of epic proportions. I ask you, in the name of these countless children for help. My rage is yours to use. For you can make it potent, pointed, and painful for those who violate children. Oh, Thor, please take me to Asgard. Hail the Mighty Thunder Diety! I`ve had enough of Midgard. I want to die. Thank you for your protection. I was certain you would respond but I had no idea until hours later of far your deed had extended. I am grateful. Mighty are you indeed! Blessed I am to have you in my life! On a separate note, thank you also for the laughs. I wish more people get to experience your healthy sense of humor. Thank you Thunor for your ongoing protection. Thank you for protecting me from the forces of evil, from the elements and from my enemies. Thank you for answering my prayers great Lord. I will always serve you and honour your name. Hail Thor! 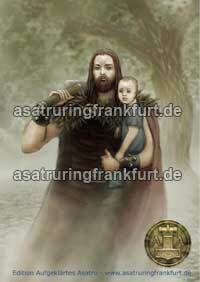 Protector of human kind and Aesir, constant inspirator of strenght and endless courage. From your thunders, we discover light out of the darkness, from your hammer Mjollnir, Giant-smasher, We gain precious source of strength. Hail Thor! Friend of common man! Divine protector of Midgard! Lord Thunor, Mighty Thunderer I give thee thanks for thy continual protection, both of myself and my kin. May you ever walk beside me and let your Hammer be raised high! Hail Thunor!